It is probably among the biggest controversies and bad-news stories in the history of Irish sport. Patrick Joseph Hickey (71), president of the Olympic Council of Ireland (OCI) since 1989, is in a maximum security jail in Rio de Janeiro and may be facing charges of ticket-touting, formation of a cartel and “ambush” or illicit marketing. According to local police, a person convicted on these charges could serve up to seven years in prison. 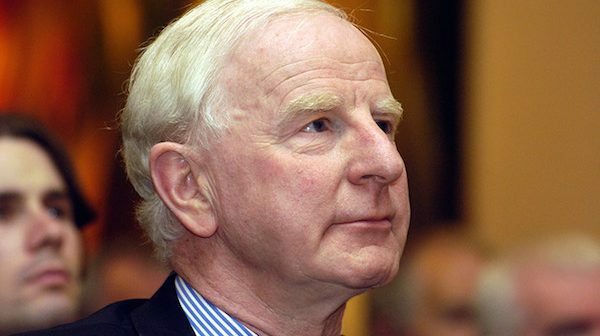 Hickey, long a figure of major controversy in Irish sport, has stood aside temporarily as OCI presidentand president of the European Olympic Committees since his arrest last Wednesday. Arising from the same alleged ticket fraud, another Irishman, Kevin James Mallon (36), has been in custody since the opening ceremony of the Olympics on August 5. An employee of the sports and hospitality company THG Sports, Mallon is alleged to have had 823 tickets in his possession, some of them registered to the OCI, which the Brazilian police claim were to be sold at multiples of their official price. The contract to sell the OCI’s tickets was awarded to Pro10 Sports Management who did not have any representative in Rio and this is given as the reason why the tickets were in the possession of THG’s Kevin Mallon, who was to act as a collection agent. Hickey denies any wrongdoing. The International Olympic Committee said in a statement that “the presumption of innocence prevails” in the case. The Brazilian police say that when they turned-up at Hickey’s hotel-room they were told he had gone back to Ireland. However, they found him in another room and footage of the naked OCI president, seen from the doorway, has now been carried on the internet all over the world. Meanwhile in Dublin, Irish Sports Minister, Shane Ross and his junior ministerial colleague Patrick O’Donovan have announced an inquiry into the tickets affair. This followed a meeting with Attorney General Máire Whelan and a number of government officials. Ross had just returned from a visit to Rio de Janeiro where he proposed at a meeting with Hickey that an independent figure should be allowed to participate in the OCI’s own internal inquiry. The OCI has been in receipt of some government funding. Ross’s proposal was strongly rejected by Hickey but, since the latter’s arrest, the OCI has changed its stance and said it would “cooperate fully with any State inquiry into its handling of ticketing arrangements for the Rio Olympics”. The statement added: “The previously announced internal inquiry by the OCI has been discontinued.” In a later statement the OCI said it would be commissioning an external review of the ticket controversy. The two firms who are the focus of ticket-touting allegations, THG and Pro10 Sports Management, have also stated they will cooperate with an independent inquiry. THG said it “would very much welcome such an inquiry and pledges to provide full cooperation in the strong belief that it can demonstrate that the company has acted lawfully at all times”. Pro10, the OCI’s authorised ticket seller, said it had “nothing to hide” and wanted the full facts to be established and made public “so that our good name can be exonerated”. 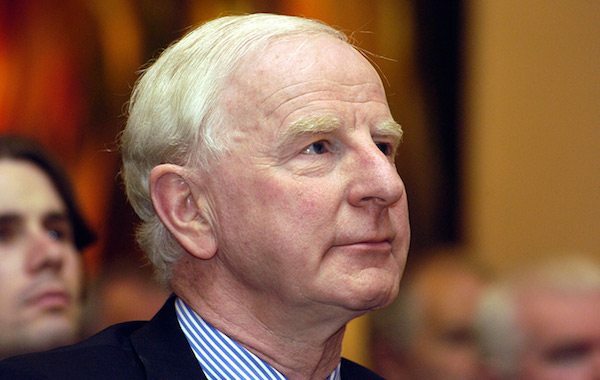 Born on 17 June 1945, Hickey has been a major figure in the Irish and international sports world for many years. In his younger days, he represented Ireland at judo, a sport where he won a black belt. He is said to have established a special rapport with Russian leader Vladimir Putin, based on their common interest in judo. The Hickey arrest and the failure by boxer Michael O’Reilly to pass a drugs test have cast a shadow over Irish participation in the Olympics. However, the country’s successes have been widely celebrated, especially the silver medal in rowing won by brothers Gary and Paul O’Donovan from Cork.